I have also witnessed many historic events over the years. Right now a significant portion of our nation has swung to the far left in politics. So far that it has spawn violence that has not been seen in the U.S. for decades. Politics has always been a hot button to people since the birth of our nation. It has always been partisan. Supreme Court nominations have been part of the partisan process. Ruth Bader Ginsberg is as partisan as Bret Kavanaugh. So this fight over Kavanaugh is part of an on-going battle on how the Constitution is to be interpreted. The difference is that the Democrats have resorted to a horrendous smearing campaign without parallel in American history. In my previous blog I submitted Frank Hawkins’ 10 Most Destructive Americans. As I stated at the end of the blog I don’t entirely agree with his list. My brief list is formulated from those I consider to be responsible for bringing the United States down to the far left. 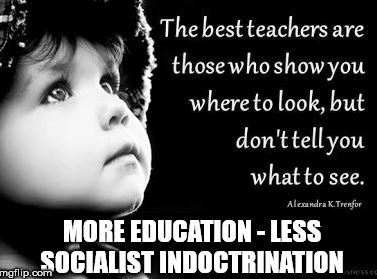 2) Marxist/Socialist/Communist liberal professors/teachers – American education has been hijacked by the far left. Many professors/teachers use their classrooms as propaganda arms of the far left. They brainwash young impressionable students. They force conformity through grades. It is not education, it is indoctrination. Vigorous discussions and debates have been replaced by thrown aside for one progressive view that doesn’t allow dissension. It is propaganda. It is classroom dictatorship. Academic freedom used to be about discussing different viewpoints and interpretations. No longer! Either accept the far left mentality or suffer the consequences. Grades are now weapons to force conformity. These far left professors/school teachers are ignorant and delusional. In any Marxist/Socialist/Communist ruled nation there is no such thing as academic freedom. When the Marxist/Communist seize control of a nation the professors/teachers are among the first arrested. You either spout the propaganda the government wants or you are arrested and jailed. Rather than teach the subject they were hired to teach, they insert their politics when politics should not be part of the course. Professors/teachers are slaves to a failed ideology. They want the world to be like their vision rather than face the way the world actual is. Most if not all of these teachers/professors have no real work experience outside of academia. From kindergarten to Ph.D.’s their world consists of ideas and books. They are protected by tenure laws and unions that fight against dismissal. It is an academic bubble. This is why they are drawn to the far left Utopian vision. They use their classrooms to influence the uninformed to accept their moralistic Utopian vision rather than rely on evidence and facts. They profess themselves to be morally superior by proclaiming they are the champions of social justice. But their moral superiority is betrayed by their intolerance. Their vision of social equality may be noble but it ignores the social and economic conditions all over the world along with world history. Our first colony Jamestown was founded on the principle of share and share alike. It was supposed to be a socialist paradise. It was a disaster. It ended up with people starving and cannibalism. Later in American History the Shakers and the Oneida Community were founded on the same principle and disappeared because they ignored the basic human condition that everybody was different and had different aspirations. Humans are not equal in all things. Everybody is superior to others in some way. It is human nature. Despite tons of evidence and facts those in the academic bubble still quest for utopia as defined by the Progressive/Socialist left. Like lemmings following the leader over the cliff, they blindly follow without thinking about the consequences or using common sense. Rather than learn from history they ignore it. They claim tolerance while being intolerant. They claim equality which is not achievable unless you are a monk or nun. Even they have superiors who give the orders and are at the top of the pyramid. Education is declining. As Harvey C. Mansfield, retired Harvard University professor, stated in an interview in the Hoover Digest, “If you look at a typical Harvard transcript, you see courses all over the place. Often on small subjects or policy questions, instead of meat and potatoes: history, economics, philosophy…So the curriculum is a mess….” In short, many far left progressive education institutions don’t prepare you for the work world. 1) Liberal Media – Media in the past has always been partisan when it came to politics. 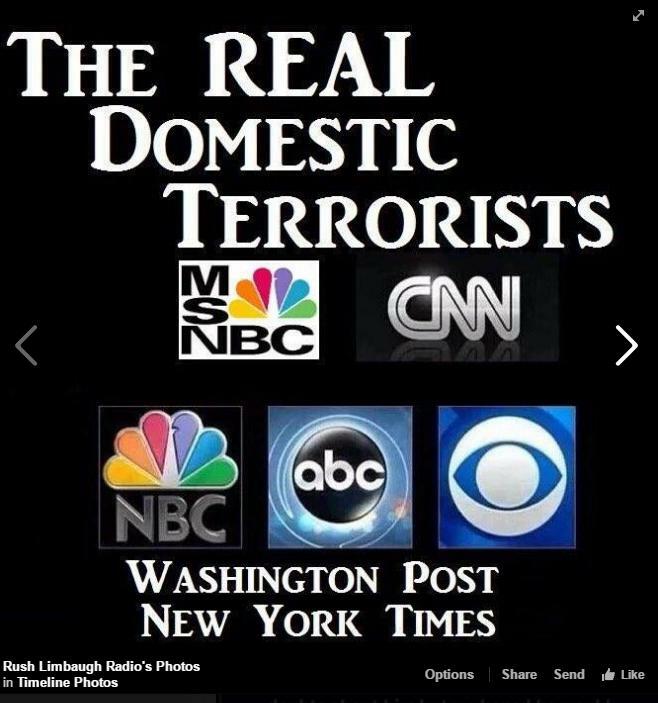 Today about 72 to 75% of the liberal media is a propaganda arm of the far left agenda. The talking heads on CNN, NBC, etc. throw smearing comments around and leave tons of news unreported. I don’t watch TV news much because I don’t like so-called journalist telling me how to think. There is no independent thinking or use of common sense by these so-called journalist. I have a sharp analytical mind and I can watch or read about events and draw my own conclusions. My thinking framework centers is history and economics. For example, my first question to far left liberals is “What do have against prosperity?” President Trump has tried hard to keep his promises unlike many in the swamp who make promises but once elected don’t keep them. He has achieved in two years more than any other president in the same span of time. Yet the liberal media deliberately ignores his achievements and vilify him. They don’t want prosperity for Americans they prefer to delay, resist and destroy the prosperity he has created. I have a Danish friend whose early life was spent in socialist Denmark. He will tell you emphatically that socialism is a failure. As a Dane he says there is the official government line that everything is very good and the Danes are the happiest people in Europe. But when you talk to the Danish people you hear a different story that things are not good. One is the very high taxes which is why Danish families are small. Children are costs. Taxes are so high that having children becomes a costly experience because the take home pay is so small. The liberal media gives a false impression by censoring or ignoring how the conservatives and capitalism promoted a new prosperity for Americans. This quote by the Communist leader Lenin says it all. This entry was posted in Uncategorized and tagged American education, Communism, Democrats, far left, Harvey C. Mansfield, liberal education, liberal media, liberals, Marxism, socialism, tolerance. Bookmark the permalink.